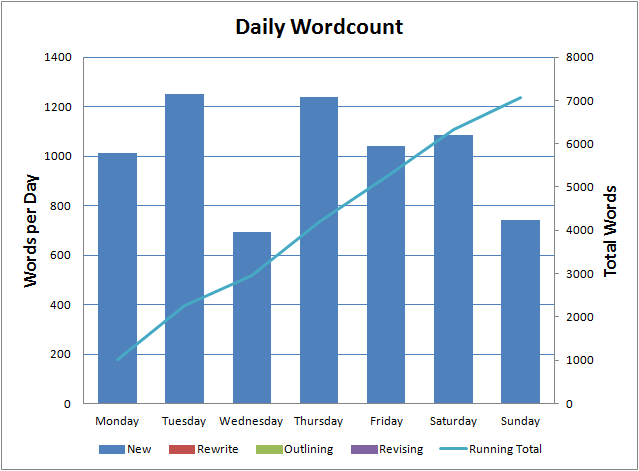 Despite the work of launching my first indie release – Bottled Lightning – I averaged just over 1,000 words a day again last week. 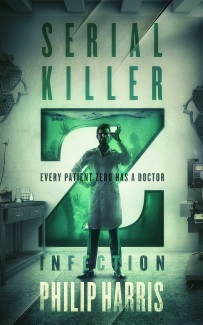 I resisted starting my new story so all 7,064 words were on The Zombie Book. A lot of that productivity comes from the fact that I’m reaching the end of the book and have a clear idea where I’m going. It’s also pretty much action all the way and I find those scenes a lot easier to write than exposition. This week I’m prepping my second indie release (check back on Thursday for information on that one) but the process should be a lot easier. I broke the 60,000 word mark on The Zombie Book last night but I really do need to write my new short story. I have a market in mind for it and the deadline is the end of October. I’ve reached a convenient pausing point in The Zombie Book so, once I’ve finished this post, I’ll be getting going on the new short story with a view to finishing it by the weekend. At some point I also need to get back to Leah and write a second draft of that. And there’s the revisions to Glitch. Yes, I do have too many projects going on at the moment. I need to start planning things better.